The foundational root of all success in sales is a fanatical focus on prospecting. -Jeb Blount, Author of Fanatical Prospecting. Do you ever wonder how successful sales reps always seem to be talking to prospects and closing more deals, raking in commissions, bonuses, and prizes? They prospect, prospect, and prospect. They prospect like there is no tomorrow. They make sales prospecting their mantra. Or like Jeb Blount would say, they prospect like Fanatics. 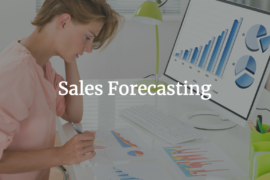 Prospecting day in and day out ensures that your sales pipeline doesn’t stagnate – that there is a steady stream of warm/hot prospects for your sales team to convert into revenue-generating customers and also gives you a predictable income to work with. The real secret to sustained success for a sales rep is continuous prospecting. What Does Sales Prospecting mean? Hubspot defines it as the process of searching for potential customers, clients, or buyers in order to develop new business. The goal here is to start a conversation with this potential customer and check whether they are the right fit for company or not. However, to understand what sales prospecting is, we’ll need to know the difference between a lead and a prospect. A Lead is a potential customer who has shown interest in your product/service through certain actions like visiting your website, subscribing to your blog, signing up for a free trial, downloading your eBook or so on. And a Prospect is a qualified potential customer; that matches your buyer persona. Qualified leads become prospects. Note: Prospects may or may not have had interaction with your product. So, it isn’t entirely necessary for a prospect to have been a lead at some point. Barring these differences, the end goal for a salesperson when it comes to a prospect or a lead is the same; nurture these potential customers into revenue-generating customers. Cold Calling is NOT Dead!! You may have heard or seen articles and social media posts talking about how cold calling is old, dead, and ineffective in this modern age. Cold Calling is still a very effective sales prospecting technique despite the contradictory claims. With people becoming immune to conventional marketing methods and targeted ads, cold calling cuts through all the internet and social media noise. It gets you in direct contact with your prospect and you can cut right to the chase with the sale. With cold calling, there is an immediate feedback. You will know instantly if your effort was worth it or was it a waste of time which in case you can direct your attention to the next prospect. And another reason why cold calling is still an effective technique is that it provides a personal connection between you and the prospect on the other end. Yes…we can all agree that the technique of cold calling is conservative and in today’s digital world it can be considered as old-fashioned. But, just because something is old and conservative, it doesn’t mean it’s useless, right? The reason why many people today tend to avoid cold calling is that they think it’s rude and it interrupts the prospect. Isn’t that the point of “cold” calling or prospecting in general? You are on the lookout for people who may need your product/service but have or haven’t heard of you. So, worrying about interrupting goes counter-intuitive to the concept of cold calling. And apart from thinking that calling someone would be rude, they fear rejection. A sales rep may have the skills and technique, but the fear of being rejected – the fear of failure trips them up and hinders their prospecting. Because be it personal or business, someone saying NO to you over the phone is bound to kill your confidence. To get past these insecurities, you will need to muster up the courage and call your prospects, irrespective of how busy they might be or how cold they are. Pick up that phone and call. Don’t be afraid to fail, turn that failure into fearlessness. Talk less and listen more. This can help you uncover the prospect’s needs and provide the solution. Take control of the call. Your voice can be a great persuasion tool. Using twitches, one-liners, and undertones you can convince your prospect to convert. And most important of all, record your calls. Studying your call recordings take notes on what you’re doing wrong and what you can improve on is vital. The importance and influence of social media in today’s world cannot be stressed enough. Millions of people around the world use social media to connect with each other and businesses today have started using it to get in touch and understand their consumers better. And as a business tool, social media has become the vanguard in technological advances. These social media platforms give you the ability to communicate and build relationships with your prospect easily. Through these social channels, you can identify and analyze your prospect’s behavior, preferences, triggers, and pain points that can later help you cater to their needs and provide solutions to their problems. So what exactly is social selling? Does it mean posting an Ad about your product on LinkedIn or tweeting users to buy your product? Social Selling is where salespeople use social media to find, connect, understand and nurture prospects until they are ready to become a customer. Using these social platforms salespeople should learn to share content, provide solutions and help the prospects in any relevant way possible. It’s the modern way of building a meaningful relationship with potential customers. The central hub for professionals online, LinkedIn is the obvious platform for engaging in social selling – especially if you’re in the B2B industry. You can connect with industry leaders, grow your network, and join relevant LinkedIn Groups. Also, LinkedIn is the best place to find out more about your prospects like where they studied, their previous jobs, any mutual connection – to break the ice – and other professional aspects. Twitter borders on being a hybrid personal-professional network for many people, making it one of the most engaging platforms. Using Twitter you can connect with people who have similar opinions, reach out to prospects in a more casual way, monitor trends and changes in your industry, keep tabs on existing customers and competitors, and keep an eye out for requests for helps or statements of pain points where you can reply with a helpful tweet. Social Selling on Facebook can be trickier than the others, as it’s more personal. Sending friend requests to prospects or business associates can come across as intrusive. The best way is to create a Facebook page for your company and then reach out to these people. It’s easy to garner attention (likes, comments, and shares) on Facebook if you provide thoughtful and valuable content. There are other social media channels like Quora, Reddit, Instagram, Youtube, etc; that sales reps have started catching up on. Each platform has its own merits and utilizing them to its maximum potential can help increase your brand awareness and pull in many leads in the long run. Pro-tip: People don’t trust strangers over the internet, let alone strangers selling something. In order to win their trust and help them, you will need to have a strong online presence. 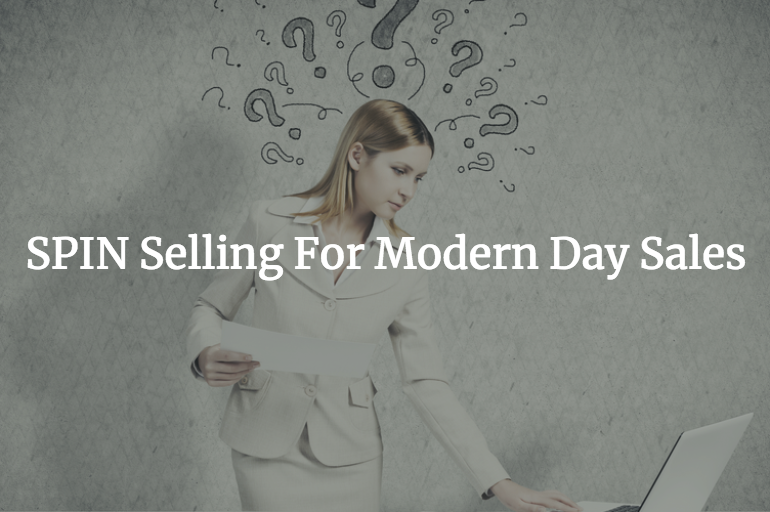 Social Selling isn’t in its nascent stages anymore. Almost every enterprise has started social selling and it has become a critical part of today’s sales prospecting methodology. Cold Emailing needs no introduction. Bypass gatekeepers when you’re trying to reach higher level C-Suite executives. Emails allow the recipient time to reply to at their own time and will. Scale. Cold emailing is highly scalable. It saves a lot of time and effort. Scalable doesn’t mean blasting a generic mail to thousands of prospects at once. That’s not cold emailing, that’s spamming!! ‘Less is more’ works for cold emailing. Choose a specific list (most preferably matching your buyer persona) of prospects and send personalized emails to them. This will ensure greater deliverability and increases the chance of a response. Nevertheless, cold emailing still has its own hurdles. Today an average working professional receives around 120 emails per day. That’s a lot, and considering the fact that your prospect isn’t going to be opening and replying to emails 24/7, there is a decent chance that your email can be ignored. 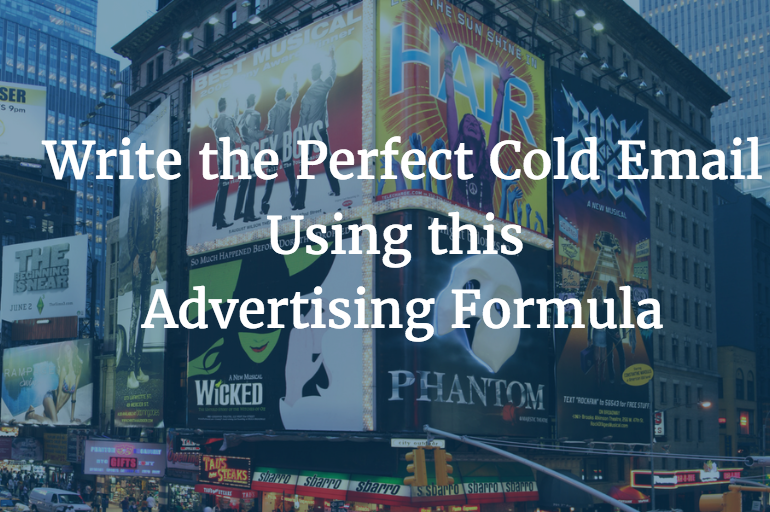 So, how do you make cold emailing work? Cold emailing may seem to be a daunting task that may not yield the desired results for beginners. But it is only because it is not executed correctly by many. The Klenty Blog is full of interesting and actionable posts on how to get better at cold emailing. Referral prospecting is an underrated and underutilized prospecting technique. Sales rep often fail to land referrals because they simply don’t ask for them. And to be fair, asking for referrals can be tricky. There are many prerequisites and factors that one needs to consider before going around asking for referrals from their current clients. Your product must be beneficial to them, you must provide excellent service, and you must be professional in every way possible – be on the best possible terms with them. However, It’s worth the time and effort because referral prospects are often the hottest. Brokered by a client who knows you first-hand and trusts your product, their recommendation will carry some weight in the referred prospect’s mind. The prospecting time here is significantly reduced when it comes to a referral prospecting, getting appointments is easier, the introductory small talk can be avoided or reduced, and closing the deal is easier since you have the referrer’s support. How does one prospect using referrals successfully? Create a referral system. Referrals don’t just fall on your lap. Yes…occasionally a well-known client might mention your company to another buyer and you’ll get a sale. But, that doesn’t happen often. To establish and implement referral prospecting into your sales process you will need to create a strategically driven referral system and make referral selling a priority. 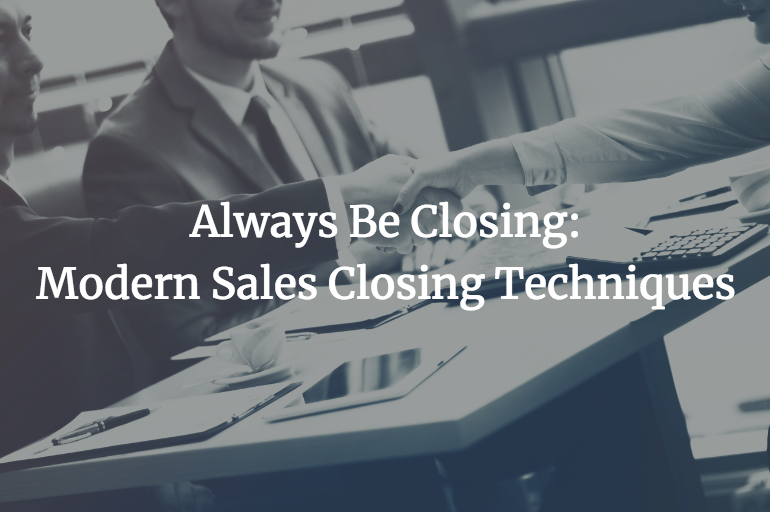 When you commit to this and integrate it into your sales process, your sales team will start bringing in more qualified leads, foster better relationships with clients, and generate more revenue. With over 70% conversion rate, your sales team will eliminate competitors, and decrease your cost of sales. Conferences and events are a gravy train for a sales rep who understands and leverages them to meet their needs. Experienced reps attend these events and network and go about talking to pertinent people and opening up channels with new businesses who match their customer profile. Imagine cold calling but minus the phone and you’re face-to-face with the other person. It’s usually uncomfortable, most people dislike doing it, and in this digital age, people have gotten cozy behind their screens(Guilty here!) having forgotten how to socialize with other people. but it is a great way to meet new prospective clients. This in-person prospecting technique can prove to be highly productive if you have a proper game-plan. Choose your events wisely. Think what conferences your target buyer will most likely attend and just go to those. Eg: SaaStr is a great conference to attend if you are in the B2B SaaS industry. Find out who will be attending beforehand. The list of attendees(or exhibitors) are easily available these days; you can get them from the official website or scour social media to learn who will be attending. This will help you map out an attack plan on who you’ll want to talk to. Apart from talking to these people, you can network. Go around handing out your business card and you just might pique someone’s interest in your product/service. Remember that all the talking you do here should be short and crisp. 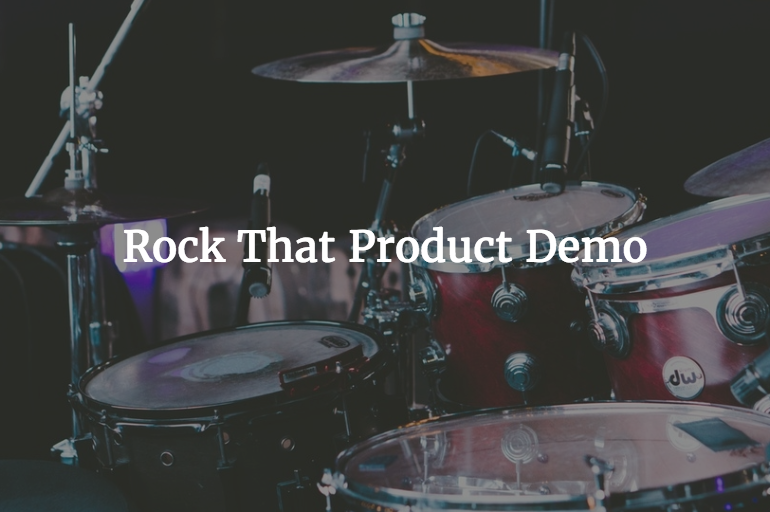 You aren’t pitching, so don’t go off into a Don Draper-esque monologue about your product. It is tempting to pitch right then and there to impress them but resist that urge. All you have to do is get on your prospect’s radar and see if they’re worth pursuing. Prospecting can be incredibly productive if you do your homework and plan ahead, before entering these conferences and events. Yup! You heard me. Direct Mail. Yes, the one where you send a message physically. And, yes…it still works even today. In an age where everything is being taken online; communication, shopping, education, entertainment. etc; does sending a direct mail to someone makes sense? After all, you can just call them or shoot them an email. So, why and how is direct mail prospecting still effective? Just like every other technique, if done right direct mail can prove to be a very effective prospecting method today. With all the rage about the internet and how all those channels are crowded, a physical mail catches the eye easily – it stands out. A letter or a postcard provides a personal touch which has a greater impact which then leads to a warmer experience during the sales process. Direct mail is effective for highly targeted prospects. For such prospects you can tailor a personalized message for them, appeal to your prospect’s specific needs and you’ll get their attention. You can also mix it up with attractive postcards, handwritten notes or gifts like pens, mugs Amazon gift cards and so on. Prospecting takes time, effort, and resources. 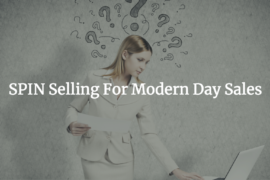 And one way to save either one or all three is to use modern sales prospecting tools. These tools can help you scrape a prospect’s contact information with minimal resources from various websites and social networks. Your sales rep can further automate their workflow by integrating these tools to the CRM to bypass manual data entry and so on. And since we have been screaming our lungs out from the beginning that a sales reps should always keep prospecting, we thought we’d list down few best tools that can help them be more productive. Klenty is a sales prospecting and email automation tool, that helps sales rep prospect, outreach, and follow-up at scale. With Klenty you can search and build a list of prospects, find and send personalized one-to-one cold emails, schedule follow-ups, and track the open/click/reply rates. Klenty automates a reps workflow, improves productivity, and increases conversions with reduced manual effort. Clearbit is not only one of the best lead enrichment tool out there, it also doubles up as an email finder – their Chrome extension can pull email addresses and other information with just the company name or first name or job title, which is a huge tool for the sales rep who is prospecting. One of the best sales tools for social selling, LinkedIn Sales Navigator helps you target the right buyers and companies, keep track of key leads and company changes and helps you reach out and engage with prospects. Adapt.io is a free suite of tools and connectors that help you with lead generation and prospect engagement. Advanced filters and confidence scores build powerful lists for highly pinpointed targeting and integrate with LinkedIn, Gmail, and other tools to adapt to your workflow and improve your productivity. 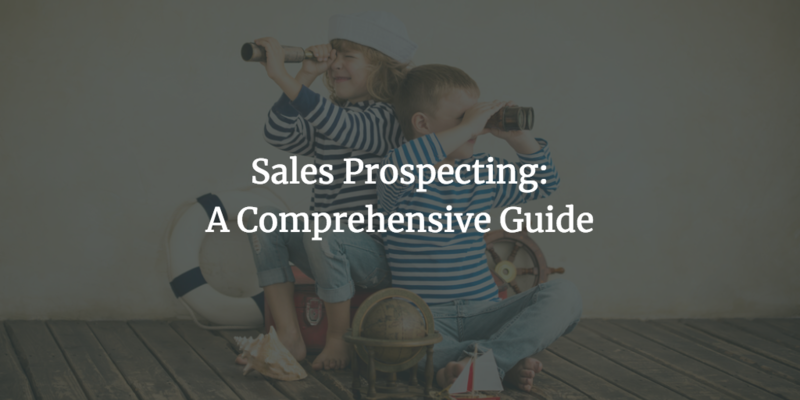 While prospecting, having a targeted approach ensures that you focus on the prospects that are most likely to convert into revenue-generating customers. The best way to go about targeting the right prospects is to build an Ideal Customer Profile(ICP) for your product/service. To build an ICP you’ll first need to find the common parameters among your existing clients. Do they come from a particular niche segment of an industry? Are all of them of similar size? Are they from a certain geography(Asia, Europe, etc.)? Do they focus on certain industry verticals etc? 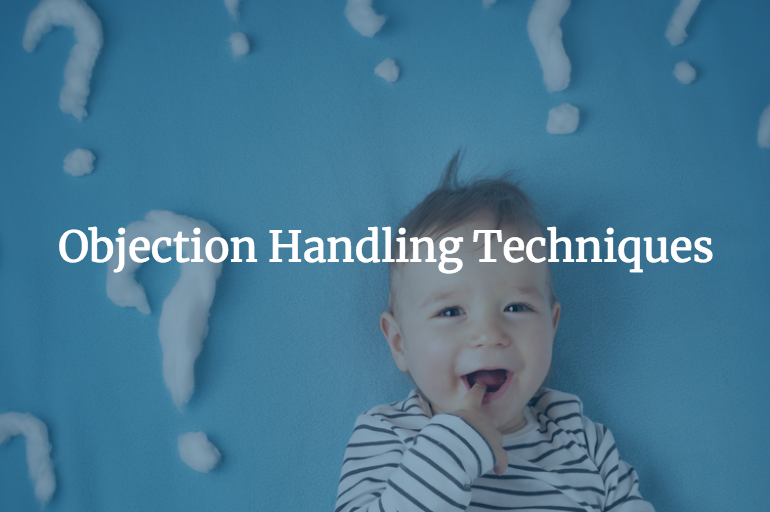 These are just the various questions you’ll need to be asking yourself when determining the ICP. Creating an ICP and targeting the right prospects not only saves you time, it also improves your conversion rates and gives you a predictable revenue to work with. To learn how to go about building your Ideal Customer Profile, refer to our detailed blog post here. Whether you spend your day making outbound cold calls or sending cold emails or responding to inbound leads as they come in, the key to any successful sales outreach is researching about your prospects and being able to have a conversation that is focused on your prospect’s needs. With the modern tools and the internet at your disposal, it’s easy to find out information about your prospect. Many sales reps refrain from leaving their comfort zone while prospecting. They tend to use one prospecting technique and delude themselves that that is the best technique and it might even get results. But in the long run, it will prove to be less productive. Completely relying on one prospecting technique, while ignoring the others will produce mediocre, if not worse, results. However, having a balanced prospecting methodology based on the industry, product/service, territory, and size gives you an advantage and leads to better results and income over the long term. A sales rep should balance his/her prospecting methodology in such a way that they get the best return on the time invested in prospecting. There should be a mixture of phone calls, emails, social selling, networking, referrals, inbound leads, and face-to-face. The time spent on each prospecting technique should be distributed relatively based on the different types of prospects they are handling – different techniques works for different types of prospects. They differ based on various factors like size, industry, location, product, and so on. Maintaining a balanced approach to prospecting is the most effective way to fill up your sales pipeline and ensure better returns. Tracking your data/numbers is important in any field. Movie studios track their box-office numbers, athletes track their game stats, politicians track their vote percentages, and in the same manner sales reps while prospecting should track their numbers. And by numbers, I mean the number of appointments, responses, calls made, emails sent, and sales made. The point of tracking your numbers is to help you have an open assessment of your performance and reach peak form. Knowing your numbers gives you the data to evaluate how you are doing and in what areas you can make adjustments to improve your prospecting. It ensures that you stay on track and hit your sales targets. It is very easy to get lost in the day to day of prospecting and keeping track of your stats. To alleviate this pain there are good prospecting tools that can help you keep track and provide insights on which techniques are effective and which are not. As much as we have preached that prospecting is a mantra and the sales rep needs to prospect every day, in today’s world, the approach to sales prospecting should be process driven. Having this approach will help your sales team go through a formal process to solve problems and making the process easier to be executed by the whole team. It also makes prospecting scalable. One prospecting technique alone won’t work for one prospect. Figuring out and strategizing what combination of techniques would work for each potential customer will increase your chances of conversion and thereby increase your revenue. For example, you can send a LinkedIn request before calling them or before sending an email, try getting in touch with them through social media, because an email from a familiar person catches the eye. Bottom line: A sales rep should prospect every day without fail. That is the only way to keep your sales pipeline full of potential customers. So, just prospect, prospect, and prospect.